Ce rapport en français. | Dieser Bericht in deutscher Sprache. The mountain peak peers down at the long strip of town in a narrow valley. The place is full of hotels and restaurants. 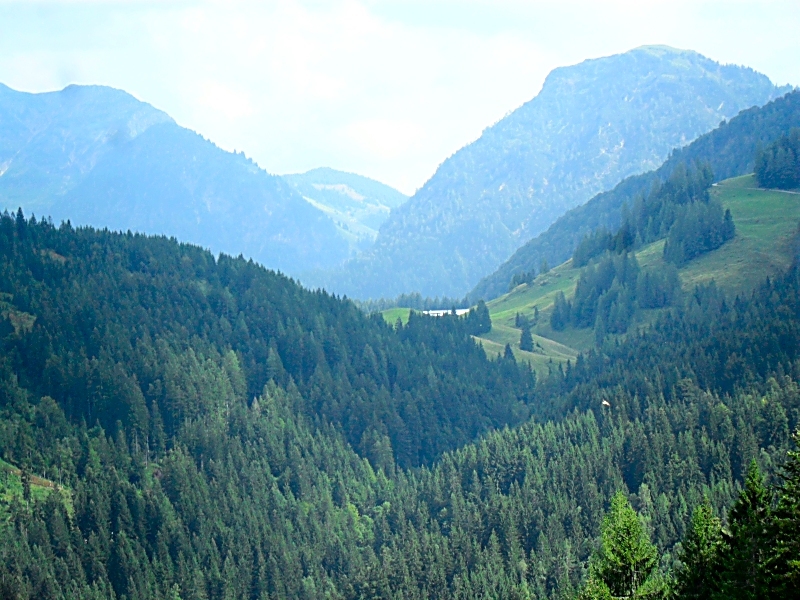 Normally it is a walking and skiing resort called Fieberbrunn. For one week in August 2013 it became UNICA City, full of movies, delegates from around the world and bubbling with enthusiasm. 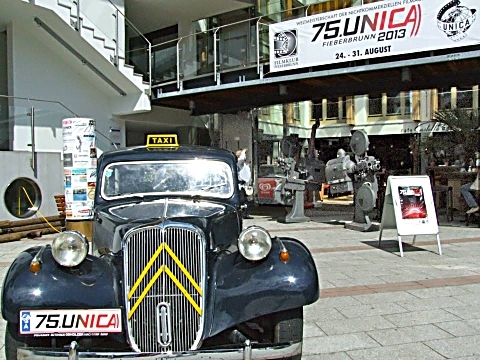 Every shop in town had UNICA posters, the central square Displayed the vintage taxi from the UNICA trailer, retired 35mm and 70mm projectors, display pillars with pictures of amateur movie-history and a covered stage where the opening and closing ceremonies were held. On the ground floor was a café and bar with outside seating - roofed but open on one side. It had a giant TV set relaying the films from the main cinema. Some delegates preferred to sit there with a blanket round them enjoying coffee or alcohol as needed. Up one level was the lobby with information boards and a cornucopia of UNICA souvenirs to buy. Up another level was a theatre-style bar and café plus the main auditorium. A lift served all levels. 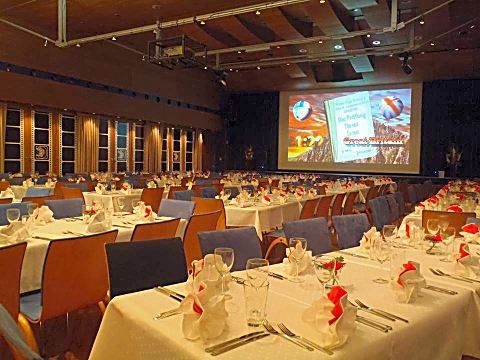 The main hall was flat - perfect for the opening and closing banquets. Used as a cinema packed with 250 or more delegates meant a little squirming to find a clear view of subtitles, but the screen set high on the stage helped. The image and sound were perfect. In a week of films plus trailers and promos - only one hiccupped. That was a problem in the transfer to computer for screening. The stage was well-used. During the week the jury sat there three times a day to talk about the films just seen. On the first and last nights it not only offered a platform for speeches, but performance space for musicians ranging from a flute soloist, a Tyrolean Twosome of guitar and accordion, an all-girl swing group singing hits from several eras, to an unforgettable impromptu dance -display by the UNICA secretary and an Austrian juror ... National film programmes were screened over the week. Programme breaks in UNICA city were filled with people heading for the many restaurants offering reserved seats and special-price meal deals. Even the giant supermarkets on the outskirts of town knew about the UNICA invasion. Bernhard Lindner (Germany, Jury President), Reinhard Steininger (Austria), Wolfgang Allin (Austria), Greta Varts (Estonia), Ladislav Frantis (Czech Republic), Wim Aertgeerts (Belgium) and Daniel Caracci (France). Over the week they assessed and commented on 130 films. They awarded altogether 6 Gold Medals, 6 Silver Medals, 25 Bronze Medals, 24 Diplomas of Honour and a number of special prizes. The films were good, often very, very good. The jury offered comments. I mean no disrespect to the others, when I say that Greta Varts (Estonia) was outstanding. She blended academic and practical appreciation. Click here to read past-President Max Hänsli's birthday toast to UNICA. Read how to do it by Bernard Dublique. Click here to read about the excursions and see photos. 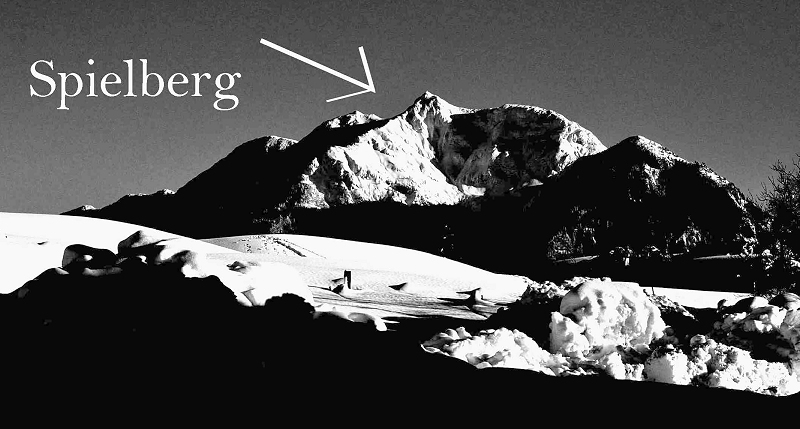 What went wrong in Fieberbrunn? during the mountain trip we overlooked two people with the Alpine taxi at the middle stop. 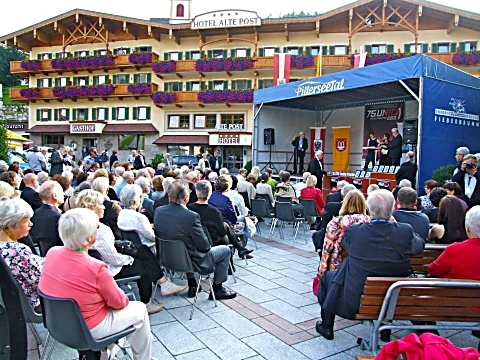 but Spielberg enjoyed UNICA so much that he has decided to stay in Fieberbrunn for the next 100,000 years." Frankly I think that if Spielberg the director had attended UNICA 2013, he might feel the same way. Every day there was a new delight. Team Fieberbrunn constantly amazed and delighted us all with their willingness to go the extra mile. Apart from film stills and the picture of Spielberg, most of the photos on this page are by Franka Stas (NLD) and Jan Kuska. 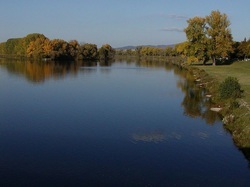 Thank you Franka and Jan..
Photo of The Váh river near Piešťany, Slovakia by Martin Hlauka (Pescan) is from Wikimedia Commons.